We have another contestant for the stupidest criminal of 2018 folks. 31-year-old Mr Isaiah John Gellatly was easily arrested by local police on Monday night in Oregon. When he tried to escape from the police chasing him, he decided at some point to get out of his car and run away. 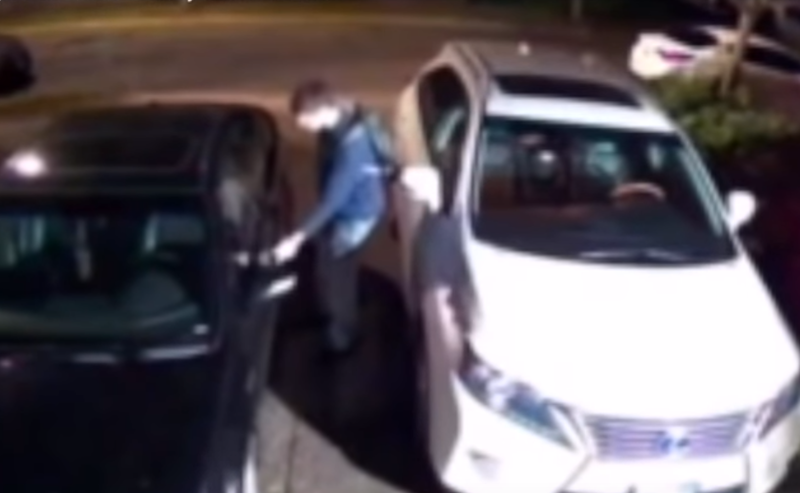 He did forget one thing: the parking brake of his own car. An obscurity with great consequences, since he then got stuck under his own car (and broke his leg in the process). The remarkable scene was captured by a dashcam of a Happy Valley police cruiser, released Wednesday by the Clackamas County Sheriff's Office. M Gellatly had tried earlier that night to steal various vehicles in the region, without success. A local resident was aware of his suspicious behavior and informed the police. The chase of the perpetrator was quickly won by the police forces. At that moment, after five minutes only, Mr Gellatly felt forced to continue his escape on foot … until he was knocked down by his own car. Mr Gellatly is currently in the hospital with a broken leg. He is accused, among other things, of reckless driving and theft. The stolen goods have meanwhile been returned to the rightful owners. Those cops have some great Thanksgiving stories! Someone needs to do a video with Monty python music playing and this short bus jockey getting run down by his car. Too funny!!! Worthy nomination for the 2018 Darwin Award .